Electric, connected and autonomous vehicles are among the many transport innovations poised to enter the mainstream in the coming decade, all of which will fundamentally change the way we travel. This new wave of transport technology promises opportunities for more efficient, greener and safer mobility. It also provides a necessary tipping point for changing how we fund transport. Vehicle manufacturers are creating more fuel-efficient and electric vehicles. This is important forward thinking that will help protect our environment but it also spells the end of Australia’s current fuel-sale-based funding stream in fuel excise. 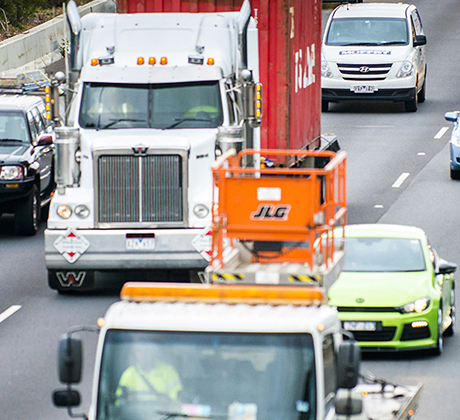 Fuel excise currently contributes 57 per cent of Australia’s total road-related revenue. However, revenue raised from fuel excise in 2015 was less than in 2001, in real terms. As well as changes in the types of vehicles and transport services available, Australia is facing significant demographic changes which will impact urban mobility. Australia’s current population of 24 million is expected to grow to 30 million by 2030. 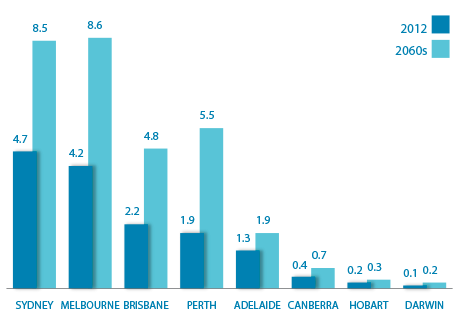 In addition, like much of the rest of the world, Australia is also becoming highly urbanised. In short, demand for roads, which are already congested, will continue to grow, creating new challenges for our transport networks. 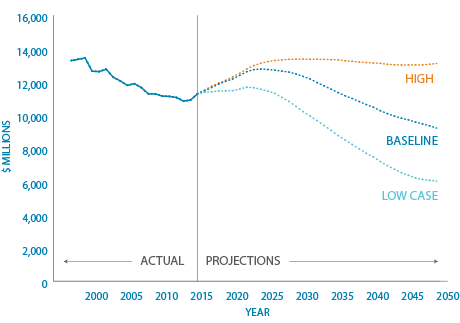 The economic cost of road congestion has been estimated at $13.7 billion and is expected to grow to $53 billion by the 2030s. Even today, workday morning and afternoon peaks are extending travel times, reducing journey time predictability and impacting the experience of road users as well as productivity. We face a future of traffic congestion and constraint unless we improve the way we fund, deliver and use our infrastructure. While we obviously need to enhance our infrastructure, we cannot simply build our way out of congestion. We cannot only deal with the supply side, we must manage demand. The current suite of road-related taxes creates inequities for car owners. Applying standard rate per litre of fuel consumed (fuel excise) means that motorists with less fuel-efficient and typically older-model vehicles are being charged at a higher rate than those with more fuel-efficient and typically newer vehicles for equivalent use of the roads. Similarly, other road-related taxes, namely vehicle registration and licence fees present other equity challenges, with infrequent drivers subsidising motorists who use the roads a lot.